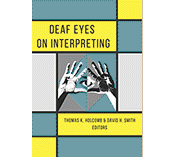 This is the fifteenth weekly installment featuring highlights from the 20 chapters in the new book, Deaf Eyes on Interpreting, edited by Thomas K. Holcomb and David H. Smith which was released in June by Gallaudet University Press. Sam Sepah holds a prominent position at Google as a Global Program Manager. 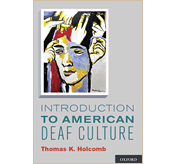 He discusses the partnership between the increasing numbers of Deaf professionals, administrators and managers and their Designated Interpreters. Sepah draws a distinction between freelance interpreters who may randomly be assigned by an agency and “designated interpreters” who routinely work with the same Deaf clients 20-40 hours a week. 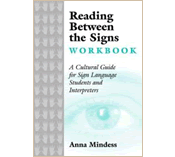 The title of this chapter, “It Takes Two to Tango,” reflects the author’s conviction that in order to create an effective partnership in the corporate culture, both the Deaf professional and the interpreter need to share their expectations, agree on communication strategies, provide each other with feedback, do their research and practice their moves, so they can work together as seamlessly as two dance partners. 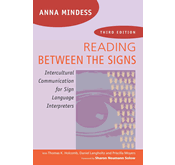 Posted in Deaf Eyes on Interpreting, Deaf Professionals, Designated Interpreters, videos from book contributors and tagged Deaf Eyes on Interpreting, Deaf Professionals, Designated Interpreters, Sam Sepah. Bookmark the permalink.